Today’s sonnet marks a first: I wrote it specifically for Sonnet Sunday. I couldn’t find any old sonnets that mark either Halloween or the Protestant Reformation, so I did what any normal, sane person would do and wrote a sonnet about both. Illuminated holy saints of old. Before the Virgin’s shrine of wood and gold. Of icy wind came roaring through the church. A ghostly figure stepped into the room. “Get back, ye wretch of Hell!” the old priest cried. The ghost turned—drifted through the walls—outside! The ghost of Luther—to reform once more! 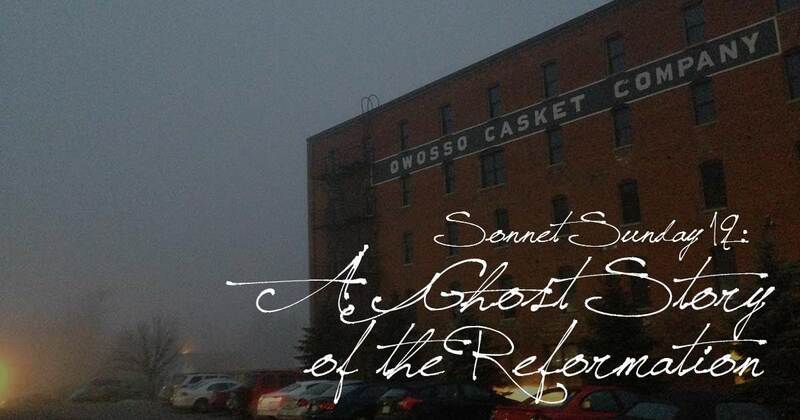 1 Pings/Trackbacks for "Sonnet Sunday 19: A Ghost Story of the Reformation"